Need an approved locksmith service in Newton Mearns? Affordable locksmiths Glasgow Southside provide a lock repair and lock replacement service. We also provide professional lock installations, emergency services and UPVC door and window repairs. Our lock repair, replacement and installation services are for all types of doors and windows, such as UPVC, composite, wooden and aluminum. Whether you're locked out and need an emergency Locksmith Newton Mearns, lost your keys, moving house or need to update the security of your home to meet the latest insurance regulations, Affordable Locksmith will respond to your needs with efficiency, haste and professionalism. Local Rates locksmiths in Newton Mearns Friendly family run Newton Mearns locksmiths. Whether you're locked out and need an emergency Locksmith Newton Mearns, lost your keys, moving house or need to update the security of your home to meet the latest insurance regulations, Affordable Locksmith Newton Mearns is here to help. Affordable Locksmith Newton Mearns provides a comprehensive lock service that specializes in UPVC locking. But we fit all types of locks. If you live in an area with a high crime rate we can advise you on how you can up grade the security in your home so that your home does not become another statistic. All our locks are quality locks. If you decide to change your locks consider what is important to you. Do you just want a cheap lock, or a lock that will stop an intruder from breaking into your home and stealing your valuables? The latter option does not need to be overly expensive. If you want to fit high security locks be it snap safe or break secure, British standard BS3621 or window locks please give us a call and ask for Steve. As a Locksmith Newton Mearns we can provide a no nonesense security servey and free advise to how you can protect your home. Whether you are locked out, moving house or office, need to update your Security or you would like an overview of your current Security with a no obligation quote then give us a call. We offer an unrivalled service within the industry focusing on the highest levels of customer service and care whilst providing a professional experience with informed and competitive solutions for every one of our customers. 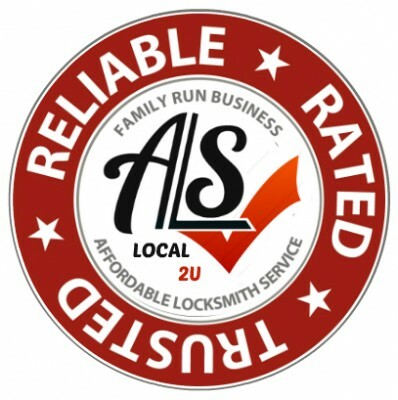 At Affordable Locksmiths in Newton Mearns we Provide an unparalleled service at Local level Key benefits of using Affordable Locksmith Newton Mearns No call-out charge only a fixed charge for work carried out on site Professional and recommended locksmiths Newton Mearns.